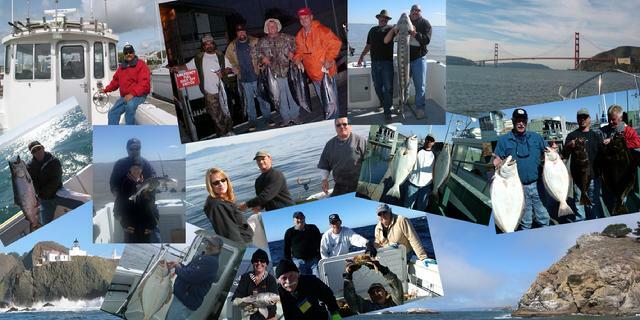 Coastside Fishing Club: Coastside Fishing Club is a community of recreational fishermen. Coastside is more than just a website, it is a group of individuals that share in the common goal of improving the fishery, sharing our knowledge with the younger generations, and being more conservation minded to help preserve our resources for future generations to enjoy. Purchase Your DFG Fishing License Online: Click on the yellow link to be sent to the California Department of Fish and Game's portal for fishing license purchases. Please note that you must be able to print out your license off your computer at the time of purchase when you are buying a short term license. When you open the link, look for the big green button "ONLINE SALES" on the right side of the DFG's page. The DFG offers online purchase of 1 & 2 day licenses as well as 10 day and annual licenses. Benicia Bait & Tackle is one of the best local "one stop" shops for bait, reels, rods, tackle, etc., etc. Stop by and let Curtis and Pam help you with all your fishing needs.